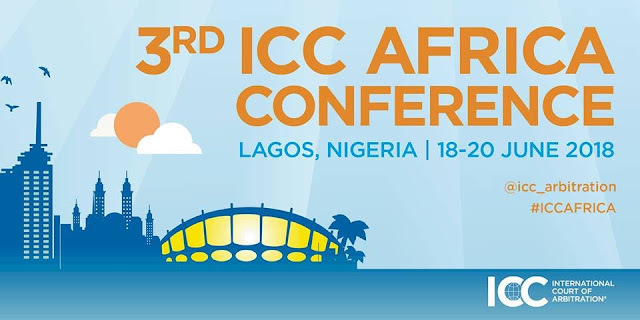 Not less than 350 participants representing about 15 countries will be present at the 3rd International Chambers of Commerce (ICC) Africa Conference on International Arbitration which is scheduled to hold on Monday June 18th and Tuesday 19th, 2018 at the Civic Centre, Ozumba Mbadiwe Street, Victoria Island, Lagos. The conference is an annual event at which the African arbitration community updates itself on developments in the region and is also a great opportunity for participants to network and develop excellent business and professional relationships. Aelex Partner, Funke Adekoya, SAN who is also the chairperson of the conference said the conference, which is the most important gathering for the African arbitration community will provide invaluable updates on developments in the region, during a series of panel discussions with a faculty of prominent speakers and thought leaders. According to her, ICC’s annual Africa conference, held in English and French, is the key forum for understanding international commercial arbitration in Africa. “This conference provides an indispensable update on developments in the region and is becoming the most important gathering for the African arbitration community. Not only does it offer a line-up of top-class speakers, topical discussions and relevant news, but also an excellent opportunity to network,” Adekoya said. The event will kick off on Monday 18 June 2018, with a session focusing on, ICC Arbitration: Innovation on the Basis of the Tradition for Quality. This will introduce the latest strive of the ICC International Court of Arbitration for enhancing time and cost efficiency to a fast track arbitration for smaller claims while ensuring fundamental quality features. Another session will focus on Clause and Effect: Seating your Arbitration in Africa. This session will discuss how African jurisdictions have responded to the requirements of an arbitration friendly environment and its impact upon arbitration on the continent. In addition to these, there will be an engaging session on International Arbitration Awards: First Bus Stop or Last Station. Panellists will discuss this topic against the backdrop of domestic and international legislation, conventions and proposed initiatives. Another engaging session focusing on Africa Rising – Stemming the Flight of Arbitral Disputes, will stress on attendant issues resulting in the delocalisation and flight of arbitral disputes from Africa. Panel Discussions on this session will include identification and discussion of attendant factors that weigh against seating arbitrations in African Jurisdictions. Panellists will offer perspectives and bring their individual jurisdictional experiences to bear on discussions and explore how the challenges can be surmounted, if not eliminated, so that arbitration can take its rightful role as a Catalyst for economic growth in Africa. After the long day of impactful activities, the day will end with a cocktail. Tuesday 19 June 2018 will kick off with a session focusing on Supporting the Arbitral Process. This session will consider and identify the various bodies which support arbitration and the entire arbitral process. Speakers will discuss the significant role the State plays in arbitration by providing enabling legislation that validates and legitimizes arbitration. The Judiciary’s role during the arbitral process regarding issues such as challenge of arbitrators, interim measures and enforcement of awards will also be discussed. The role played by arbitral institutions will also be examined. It is expected that the outcome of the session will be an identification of whether arbitration in Africa receives sufficient support and also proffer any suggestions on how arbitral process can be better supported. There will also be panel discussions on the session Arbitrability in Africa: New hopes or Lost Opportunities. Discussions on this session will focus on whether the approaches to arbitrability taken by African jurisdictions give rise to new hopes (increased use of African seats) or lost opportunities (reluctance to arbitrate in African jurisdictions). Participants are in for an interesting session on ECOWAS Energy Protocol “Reality or Mirage” as panel discussions on this session will focus on the effectiveness and/or potential impact of the Protocol on energy related disputes in the West African sub region. In a bid to understand the damages tool being developed by the ICCA-ASIL Damages Task Force which allows everyone easy access to complex damages analysis, there will be a session focusing on Damages tools – Globalizing the Analysis of Damages. During this interactive session, distinguished legal and economic experts will explain the tool and demonstrate how it works by illustrating the lifecycle of a damages case, before asking the audience for feedback.